Will the world’s great powers ever be so misguided as to fight each other again? A big part of the answer will be determined by how the United States and China manage China’s rise. 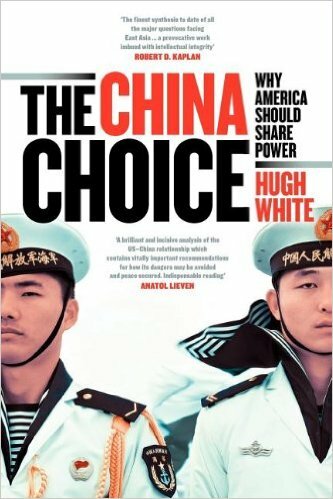 In a short, sharp, and reasoned treatise, Australian diplomat Hugh White argues that Washington needs to accommodate China, back away from its shores, and lower the American profile in China’ neighborhood. In a word, appeasement—a strategy that got a bad name in the late 1930s but might have prevented war in 1914. Has its time come? Read The China Choice and decide for yourself.